What Are the Healthiest Pans to Cook in? Brushing your teeth is essential in maintaining good oral health, but if you’re using a dirty toothbrush, you may be doing harm while you’re doing good. The American Dental Association says that bacteria from your mouth and the environment can lurk on your brush. While they also note that there’s no sufficient evidence to support the fact that these bacteria have any adverse health effects, it's still a wise move to clean your toothbrush to prevent germs and bacteria from getting into your mouth while brushing. Rinse your toothbrush with hot tap water after each use to get rid of toothpaste, food and other debris that might remain on the brush. Fill a clean glass with undiluted white vinegar. Stick your toothbrush in the vinegar so the bristles are completely covered. Let the toothbrush soak for a couple of hours. Vinegar kills most bacteria and germs on the toothbrush. Remove the toothbrush from the vinegar, rinse it under tap water and sit it upright to air dry. Replace your toothbrush at least every three to four months. 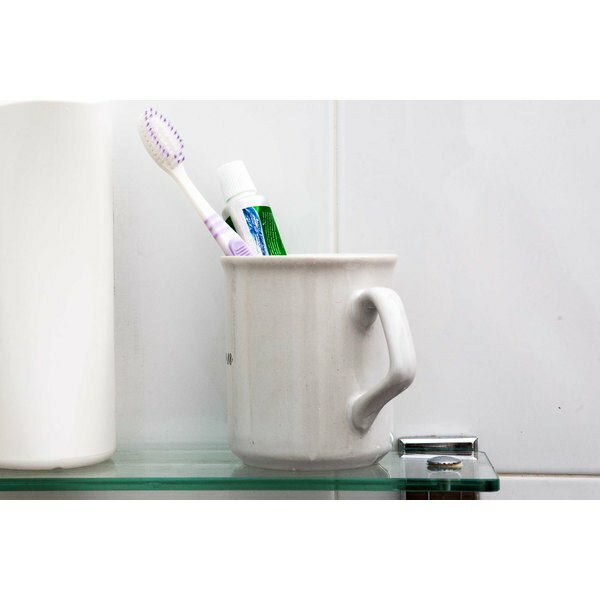 Avoid storing your toothbrush in a closed container, which can increase the growth of bacteria. Instead, store it upright in a toothbrush holder, and do not allow one toothbrush to touch another. Do not share your toothbrush with anyone else. You can buy toothbrush sanitizing products to clean your toothbrush, but no evidence suggests these products clean toothbrushes any better than rinsing with tap water and allowing the toothbrush to dry. If you do decide to purchase a toothbrush sanitizer, look for a product that has been approved by the Food and Drug Administration.